Brought to humanity by the Watchers, humanity used these letters in their first years. Each of the Angel's true names must be written in this medium to truly capture their essence. The power of writing and the ability to reproduce the true names of the angels changed humanity forever. The Classic expression of the letters is them in their most simple forms. Through extensive use, some of these letter forms evolved, creating a more flowing and decorative script that retained all of its original power. 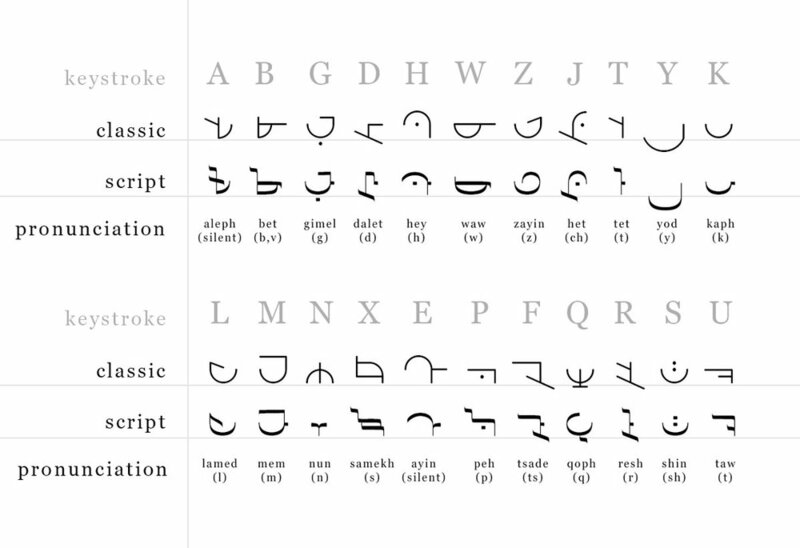 To write out words in Angelic Script yourself, I've made the fonts available. Wanting to put their stamp on the world, the Watchers embellished their traditional writing system to create elaborate expressions of their names. Penemue did more than just teach mankind to write, he also brought beauty to it as an art form. These are a few examples of the Watcher's names written in this more elaborate style. The Angelic Script fonts and calligraphy were created for Angelarium by Martina Benassi.